For this portion of the project we used a 25 ton of Virginia Red Limestone boulders to create a border and retain the slope for 2 ton of Lilac Flagstone for the patio. 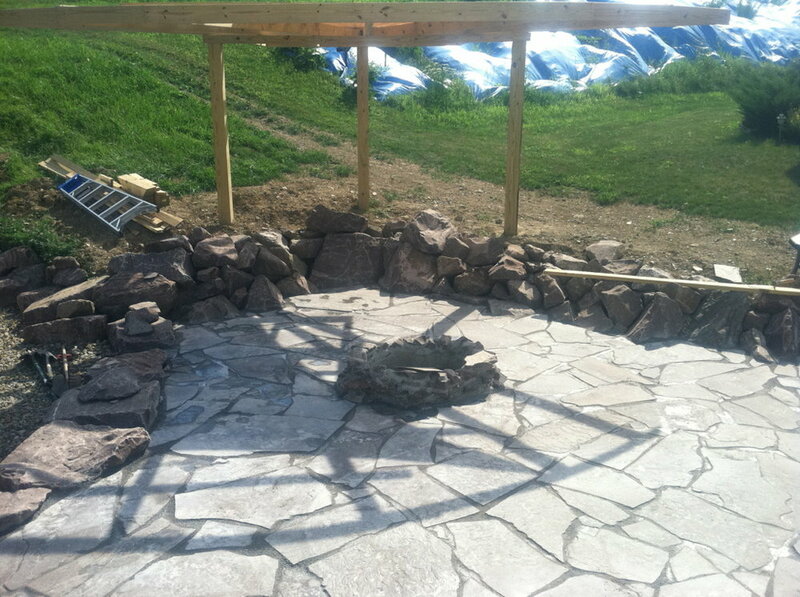 The polymeric sand mix was Gator Dust - Stone Grey. All the materials were sourced through Federouch Landscape Supply Yard in Canonsburg, PA.
© 2018 American Groundskeeping | All Rights Reserved.